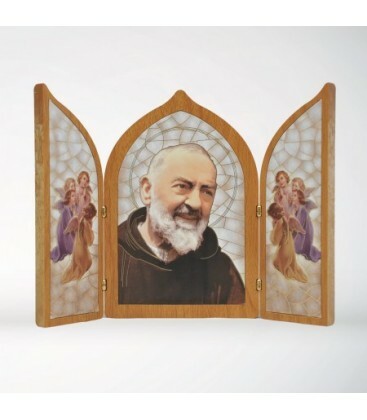 Triptych in termopolimero, book with gilded hinges. 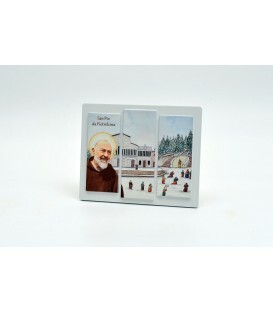 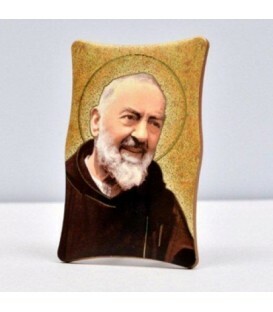 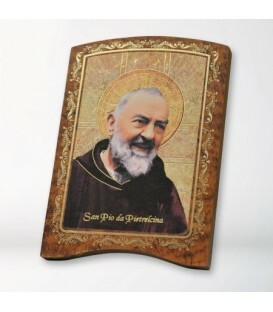 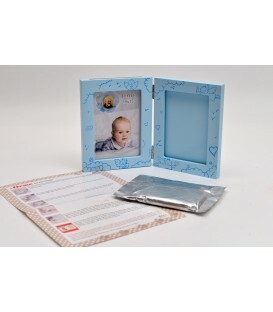 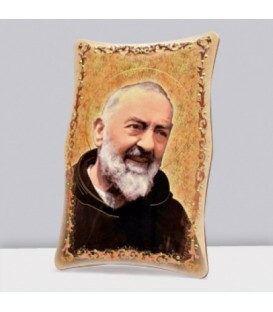 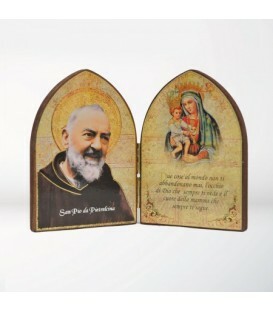 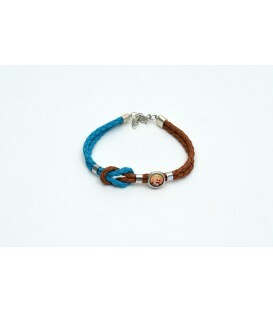 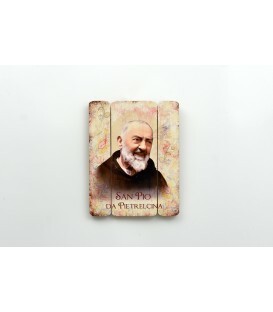 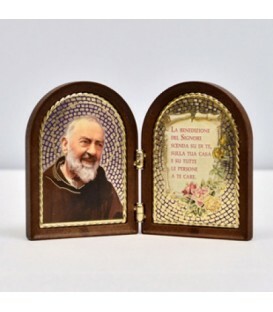 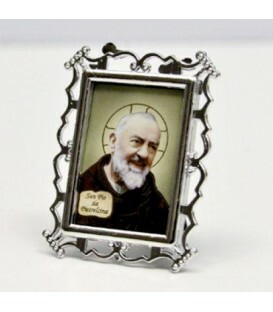 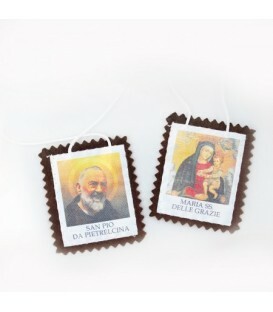 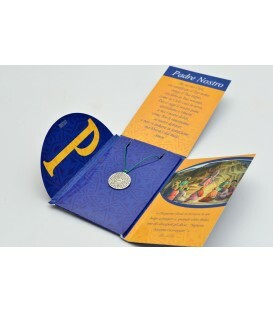 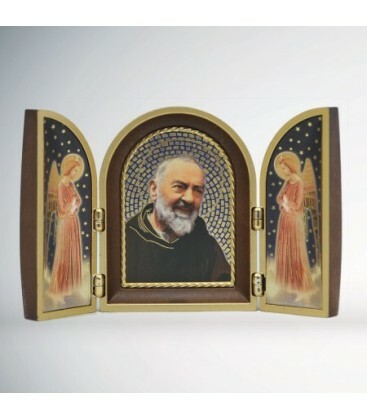 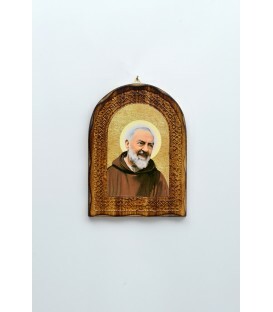 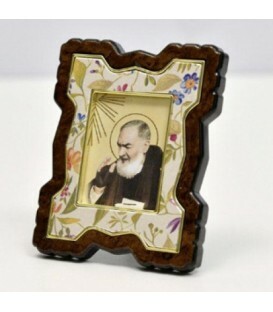 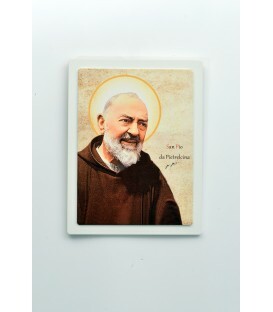 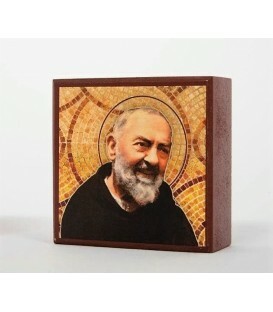 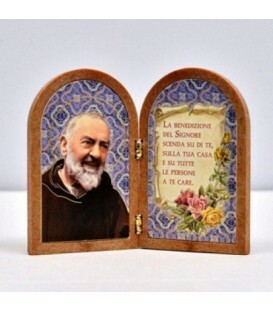 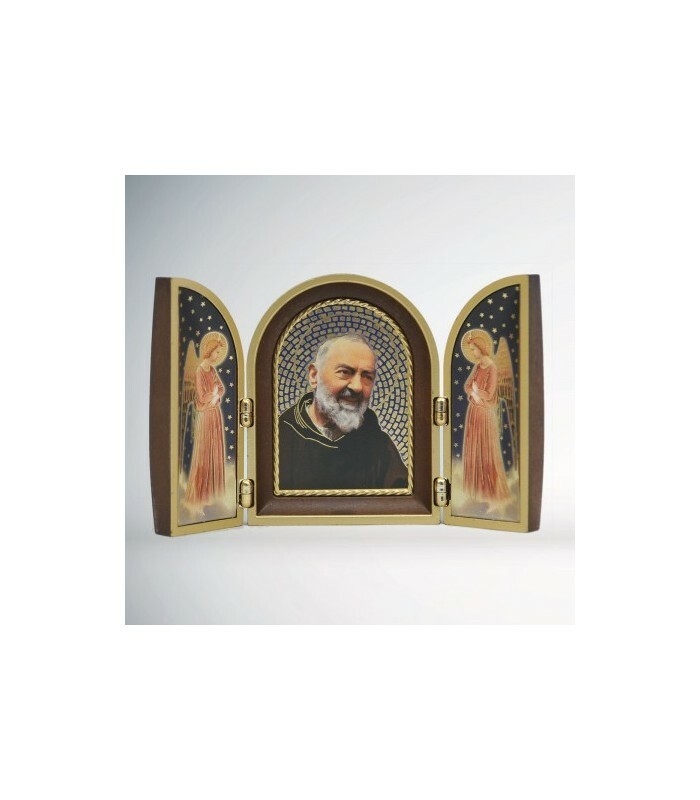 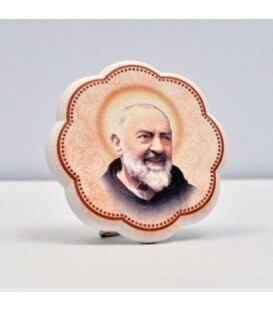 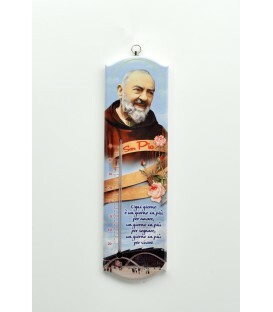 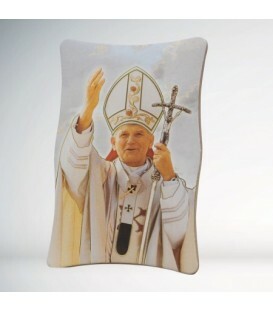 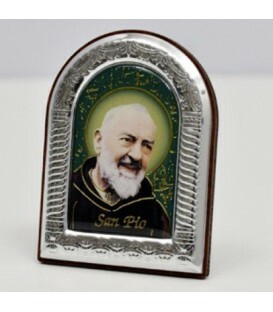 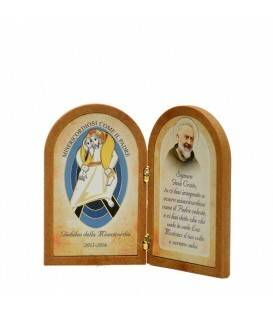 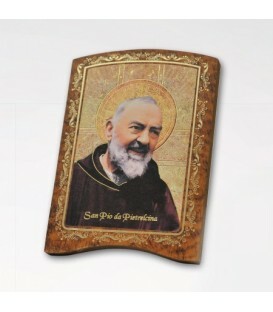 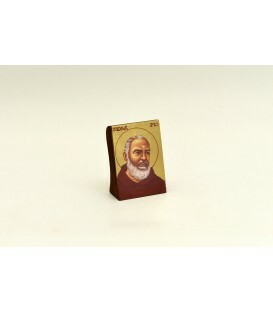 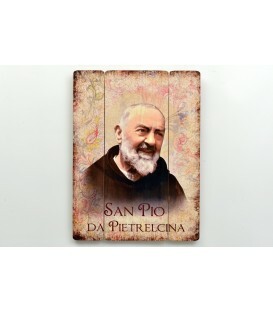 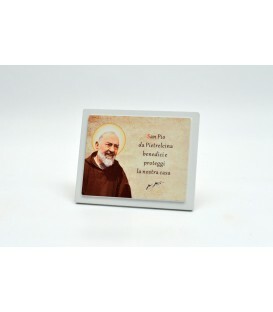 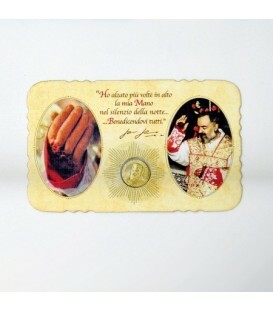 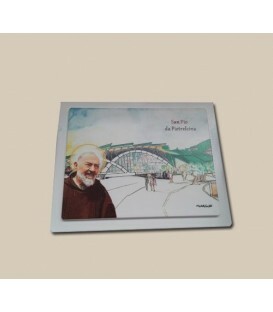 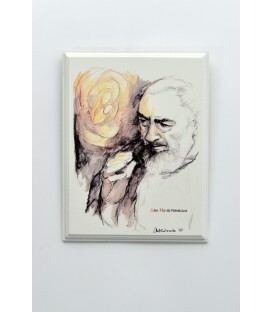 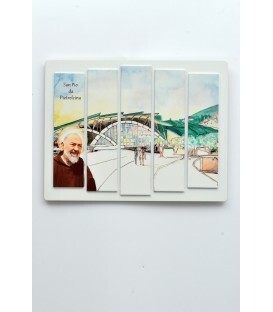 Process-color printing and hot gilding the image depicting Padre Pio and the angels. 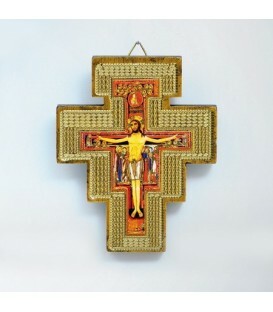 Retro decorated with gilded relief frieze.